Michael-John Damant, a director of Genoa, said that a new offering, which took 14 months to formulate, will factor in the many challenges faced by today’s doctors. In addition, the new policy would give the South African medical fraternity access to a locally grown product where doctors and specialist will have improved protection and recourse to either the Financial Advisory and Intermediary Services Act or the South African Ombudsman of Short Term Insurance (OSTI). “We are aware that amendments to legislation governing the Road Accident Fund (RAF) make damage claims from injuries sustained in motor vehicle accidents less profitable for personal injury litigators. This has spurred many to turn to more lucrative options such as medical malpractice claims. As a result, many doctors risk becoming the targets of vexatious litigation. 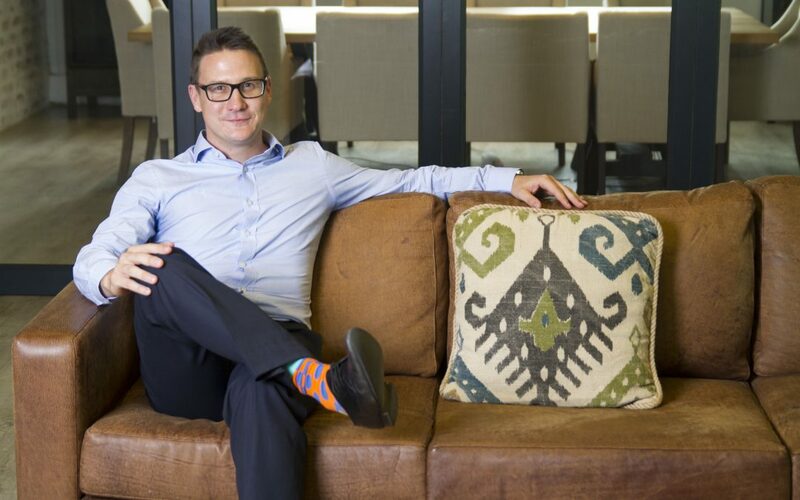 As we are committed to making a positive contribution to the long term sustainability of the medical sector in South Africa, we are happy to be able to not only offer a claims made insurance policy with stable, sustainable premiums but one that offers active support to medical practitioners,” Bekker explains. When coupled with low allocations to operating costs and cost effective litigation, this enables Genoa to focus on what’s most important – offering full protection and support to its select clients at cost effective rates,” he adds. “The quick and efficient resolution of valid claims and the rigorous defence of vexatious claims is backed firstly by an in house legal team and then by a team of medical and legal professionals from the top firms (MacRobert Attorneys, Clyde & Co, Weber Wentzel, Malatji Kanyane and Garlicke and Bousfield) in this field across the country,” he says. Genoa encourages medical practitioners to utilize proactive technological back up to mitigate potential claims. “This includes the use of electronic note taking and cloud computing, and we are happy to assist and advise practitioners of such available technologies,” says Damant. The new policy offering also includes a number of extensions such as free fidelity cover of R25 000 for theft by employees, a good Samaritan extension and a premium holiday of up to three months to cover maternity leave or time taken for additional studies. Who has access to this policy? This product is available to select medical practitioners registered with the HPCSA (Health Professions Council of South Africa). Who is providing this new product? Genoa Underwriting Managers. It is underwritten by South African based Safire Insurance Company and reinsured by Munich Re, one of the world’s largest and leading reinsurers. Why do South African doctors require a product such as this? There has been an exponential increase in the number of claims against medical practitioners. This could be attributed to patients’ increased awareness of their right to seek recompense as well as to greater pressure from some legal practitioners who are eager to capitalize on this. Amendments to legislation governing the Road Accident Fund (RAF) have made damages claims from injuries sustained in motor vehicle accidents less profitable to personal injury lawyers, some of whom have now turned their attention to medical malpractice claims. Up until now, the majority of South African doctors have been insured by an offshore service provider, significantly increasing their risk and costs due to the volatility of our local currency. Not only is this pushing up costs but endangering the futures of some medical practices. Why do South African doctors need a local product? This product has been carefully engineered by local experts with an understanding of the many challenges facing practitioners operating within this rapidly changing sector. 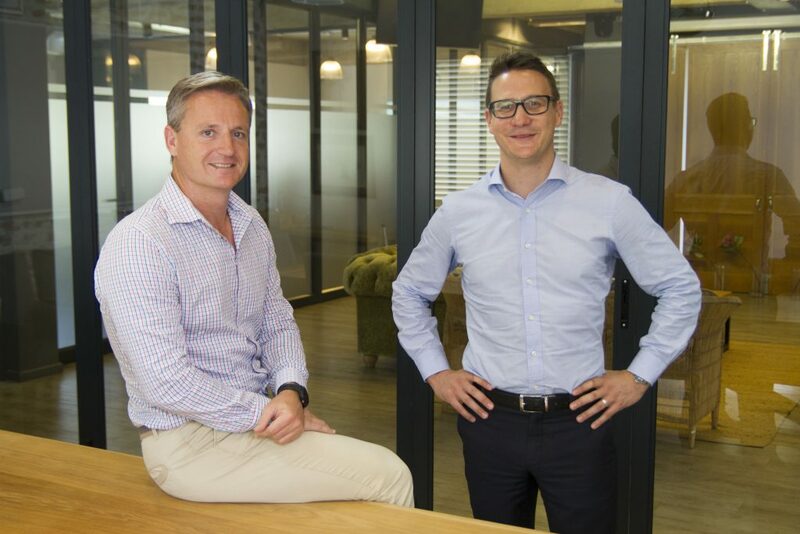 In addition to this innate understanding of local conditions, doctors and specialists who are insured by a local service provider (rather than an internationally based one) will now enjoy the protection of the Financial Advisory and Intermediary Services Act and the South African Ombudsman of Short Term Insurance (OSTI). Yes. Due to the increased number of claims against doctors, premiums for insurance have risen over the past few years. As this is part of the operating costs of a practice, this must inevitably be passed on to patients as higher charges. How does this new claims made policy differ from occurrence based insurance which has been the norm in the past? any claims already notified or known to the practitioner prior to changing to the new insurer would not be the responsibility of the new insurer as they should have been lodged with the first insurer. Occurrence-based cover offers protection for claims that result from any incident that occurs whilst being a policyholder, irrespective of when the claim is made and includes the time after a policy has been cancelled. Genoa Underwriting Managers is able to include an Extended Reporting Period of up to 60 months and has the ability to extend this when required. Do you cover practitioners who treat foreign patients? Yes, Genoa will cover practitioners treating foreign patients. However, the services must be contractually agreed to in South Africa. In addition, any lawsuits that may arise would be in terms of South African law and jurisdiction. Do you provide insurance for locum services? Yes. If our insured is providing locum services, we will provide cover for those services. However, we will not provide cover to the locum doctor who is standing in for our insured. Do you provide cover to government services’ employees? Genoa provides cover for all work done in private practice, including government service employees who are authorized to provide services in the private sector. Such practitioners will be assessed under the normal private practice premium rates. Is there a limit to the amount of cover available – and what is this limit? We are able to offer cover for limits from R1,000,000 to R50,000,000. On request, we can offer a full value re-instatement should that be required. Based on their associated risk profiles, we will be providing practitioners with different limits of indemnity from which to choose. This enables them to balance the costs of insurance against the cover that best suits their needs and ultimately places the choice back into the hands of the medical practitioner. Will a doctor’s claims history be taken into consideration when providing cover? Yes, but it will be carefully assessed as to whether claims can be attributed to negligence or whether they indicate potential for future risks. A doctor’s personal risk defines the premiums paid with a minimum base rate calculated for practitioners with well-managed clinical and practice risks. Will there be additional premiums for those medical practitioners who claim more often and is there an opportunity for a reduction of payment / rebate or premium return for those that do not claim? Our policies are individually risk rated. The premiums offered to practitioners assume that there are no bad risks at the HPCSA or any litigation in progress. Our underwriting protocol adds to the premium cost for increasing risk factors applicable to the areas noted above. Genoa also proposes to provide reduced premiums and discounts for accepted high quality risk management. How will you handle a claim against a doctor or practice? In the event of a claim, a doctor will receive personal coaching by a highly qualified in-house medico-legal team on how to best deal with it and manage the associated trauma. As soon as a practitioner is notified of a potential claim by the HPCSA, we will assist with responses and even attend the HPCSA, hearings with the practitioner. The quick and efficient resolution of valid claims and the rigorous defence of vexatious claims is backed firstly by an in house legal team and then by a team of medical and legal professionals from the top firms in the country. (MacRobert Attorneys, Clyde & Co, Weber Wentzel, Malatji Kanyane and Garlicke and Bousfield). How do you intend controlling the escalating costs of litigation in the event of a claim? The policy focuses on mediation and other alternative dispute resolution techniques to reduce claim costs so that practitioners are not faced with a situation where their Limit of Indemnity has been eroded by unnecessary litigation or defence costs. If a claim is valid, the doctor will then have sufficient funds available to settle a claim in full and not run the risk of having a shortfall where he/she may be called into making a contribution towards the claim. In addition to this, our in house attorneys are committed to always monitoring and negotiating the fees charged by our panel attorneys to ensure that the billing always correlates with the actual services provided. How will you support doctors and specialists? A partnership with Medical Practice Consulting (MPC) offers CPD training to select practitioners. In addition, policy holders have access to relevant and innovative patient relationship management tips garnered from sound international research and supplemented with insights received from practitioners’ interactions through their daily dealings with their patients. Genoa encourages medical practitioners to utilize proactive technological back up, including electronic note taking and cloud computing, and is happy to assist and advise them in this regard. Are there any policy extensions? Yes, there are multiple policy extensions with some of the most notable being free fidelity cover of R25 000 for theft by employees, a good Samaritan extension and a premium holiday of up to three months to cover maternity leave or time taken for additional studies. Can a doctor extend cover after retirement? Yes. The policy automatically includes an Extended Reporting Period (ERP) of up to 60 months and, subject to certain conditions, doctors also have the option to extend cover beyond the initial period stipulated. How can a doctor gather information about your product? As Genoa is an Underwriting Manager, we will only be dealing via intermediaries / brokers. Doctors will need to contact their short-term broker or contact us directly so that we can recommend a broker to assist. Genoa’s contact details are available on our website (www.genoa.co.za) and via telephone (010 286 1915).